We just updated our Slack integration. Now, with the support of forms, you have even more control over the creation of smartQ tickets. Simply start with the command “/smartQ add” and you will be able to choose the project, assign deadline, etc. 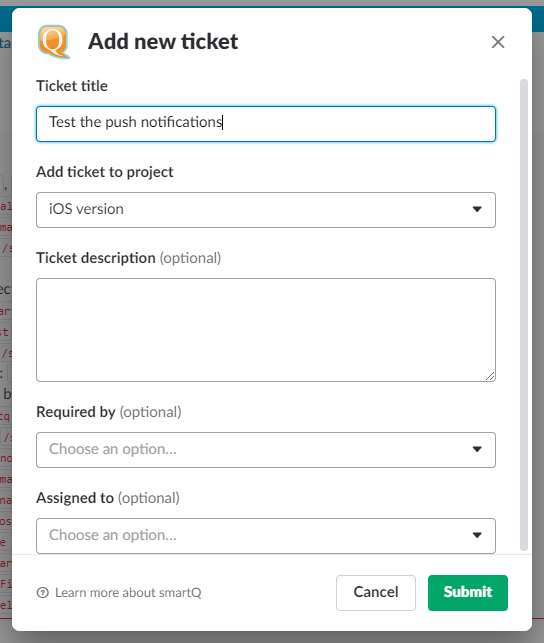 before creating the ticket – all of it within Slack!